FROM MADRID TO HUESCA ON SUNDAY - aceepts jimdo page! The train station is on the terminal T4 floor -1, and is called “Aeropuerto T4”. To move to the other terminals there is a shuttle bus service connecting the terminals. 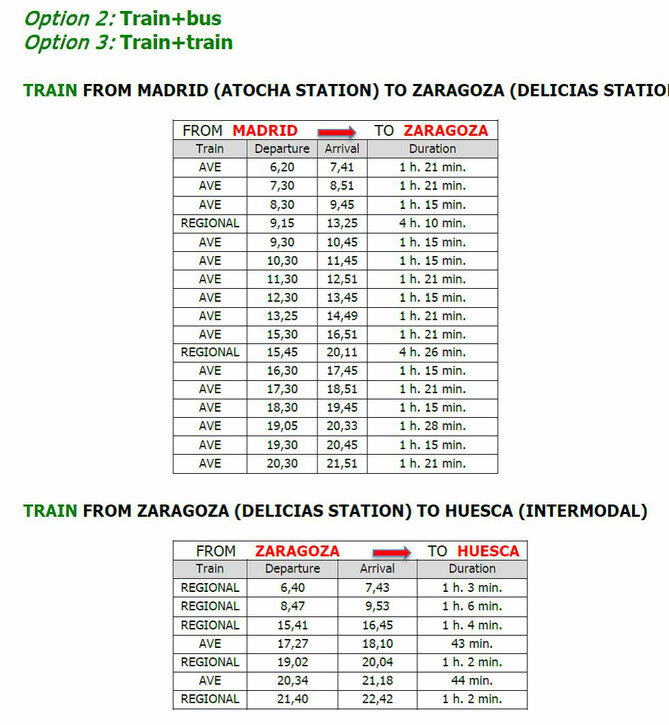 The Spanish railway company RENFE, connects Madrid with the Madrid Barajas airport through the local train network service "Cercanías" C1 line. There is a train every 30 minutes. 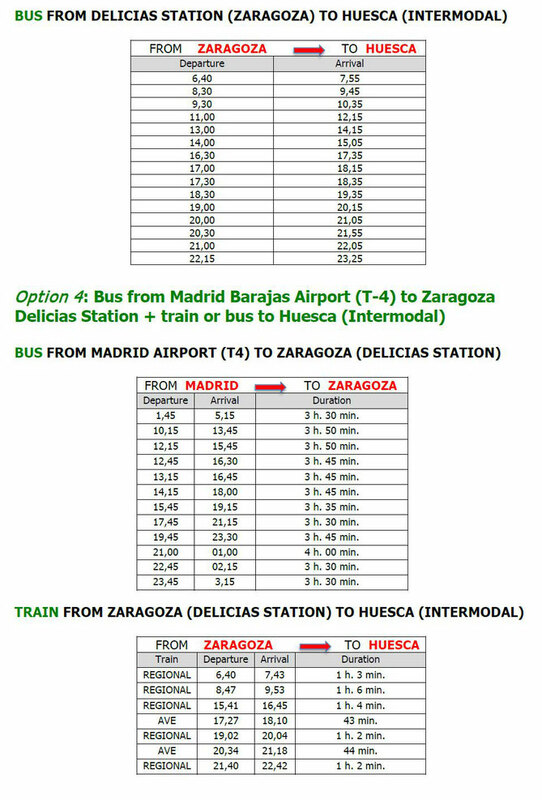 Estimated travel time Aeropuerto T4 to Atocha station: 25 minutes. 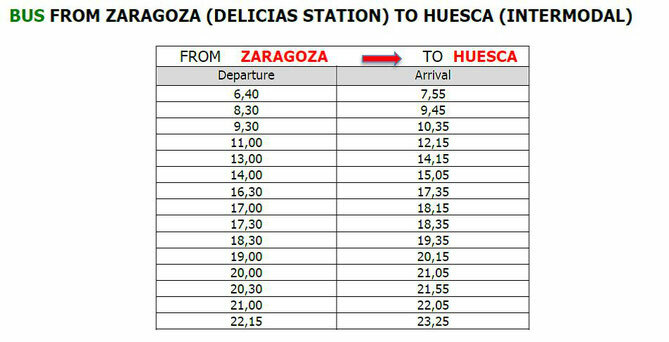 Ticket: Single ticket tariff is 2,60 €, valid for one journey in the two hours after it is issued. For passengrers with AVE tickets (high-speed train) connecting with a flight, this service is free.